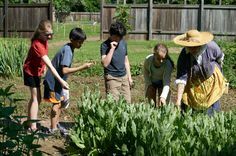 On March 13, Pennsbury Manor will be hosting Charter Day, a free event open to the public celebrating the 335th Anniversary of the Pennsylvania Charter. 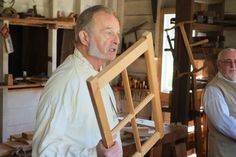 The free event allows visitors to tour the Manor House, observe 17th century craft demonstrations and stroll the forty-three acre site. Many visitors have enjoyed the Charter Day event for years, but aren’t necessarily sure what they are celebrating. On March 4, 1681 the Charter was presented to William Penn, making him the proprietary authority over a tract of land, now known as Pennsylvania. I’m sure you have some questions. Why would the King give William Penn the Charter? What did William do with his newly acquired land? Read on to become a Pennsylvania Charter expert! The story of the Pennsylvania Charter began on June 24, 1680 when William Penn approached King Charles II requesting land in the New World. The only available plot of land was located, “west of New Jersey, north of Maryland, south of New York.” The area was a tract of land that England had conquered from the Dutch in 1664. On March 4, 1681 William Penn was given the Charter, effectively becoming the proprietary figure of Pennsylvania. This land was in high value, so it is interesting it was gifted to Penn. There are a few positive motives for the King giving Penn the Charter, one being King Charles II’s desire to expand the English empire. Another theory is that the King was interested in sending those “fanatics,” as in the Quakers far, far away to Pennsylvania. Another known reason is William Penn’s father Admiral Sir William Penn was owed a great debt from the King. Penn was required to annually pay the kingdom one-fifth of all the state’s silver and gold, and two beaver skins. Yes, you read that correctly beaver skins. Penn was not given absolute power of the colony; the colonists had to abide by Parliament trade laws and all developed laws were to be sent to the Privy Council within 5 years. Within these perimeters Penn strived to create the religious utopia he dreamed of. The physical appearance of the Charter itself is just as stunning as the story behind it. The physical Pennsylvania Charter consists of four pages of parchment that measured about 20”x 24”. On the first page, in the top left corner was a portrait of King Charles II. The pages were boarded with the shields of France, Wales, Scotland, and Ireland, which were all lands conquered by England. The pages were bound with a silken cord. The Charter also had a seal, known as a skippet, which dangled. The Charter was given to the State of Pennsylvania in 1812 by the Penn family. It was exhibited until 1984 when it was removed because of its fragile state. The parchment paper is incredibly fragile because the Charter was actually written on animal skin. The parchment does not absorb the ink, so it sits on the surface and flakes. The Charter is no longer whole, the skippet and silk cord were lost after it was gifted to Pennsylvania. Also, the Charter was trimmed in 1830, so it would fit into its exhibit case. You may be asking yourself; seriously, Pennsylvania cut and lost part of the Pennsylvania Charter? The answer is yes, yes they did, but in their defense exhibit and collecting were very different then. The Pennsylvania Charter was the first step in the formation of the State of Pennsylvania. So this year, we should rejoice in the fact that Pennsylvania is a state with some help from the Charter.